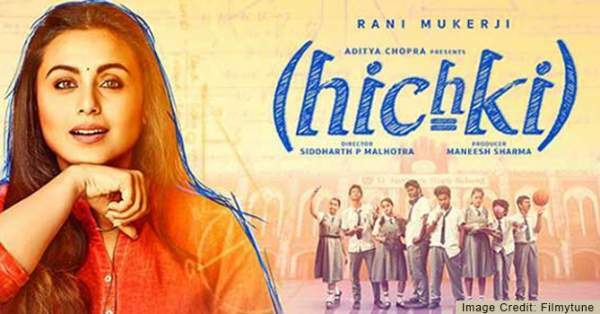 Rani Mukherji‘s latest Bollywood movie, Hichki has completed its 2nd week run at the box office. Let’s check out how much collection it has done in the first 2 weeks. The directorial of Siddharth Malhotra ran steadily in the second week too and collected Rs. 12.30 cr in this time frame. Overall, Hichki has minted Rs. 38.40 crores in 2 weeks of time in total. It is running fairly despite the release of Baaghi 2 and becoming a BO hit. The lifetime collection of Hichki will gross around Rs. 50 crores in total. Below, we have the day wise break-up of its earnings. Check: Baaghi 2 1st week collection. Rani returned to the silver screen after a 4-year break post pregnancy. She enjoyed the biggest gift of nature to a woman – the motherhood. The movie received good reviews from both the critics and the audiences. Rani plays the role of a teacher suffering from Tourette syndrome. The story revolves around her zest for her profession. It is so high that nothing could stand for long in the way of achievement of her dreams. Her attitude made students realized their potential. Stay tuned to TheReporterTimes for more. Don’t forget to share.